We are learning to divide this week. We did a super job solving division number sentences today. 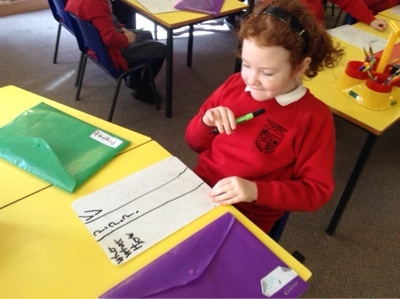 We even looked at what happens when a number doesn't divide evenly and we have some remainders. In Word Wizards we continued our learning about verbs. 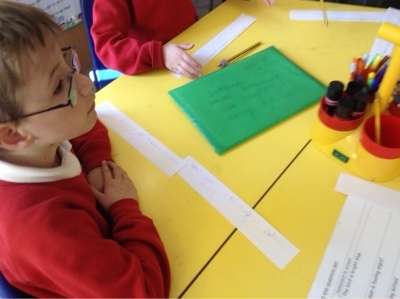 We acted out the focus words in the present tense. 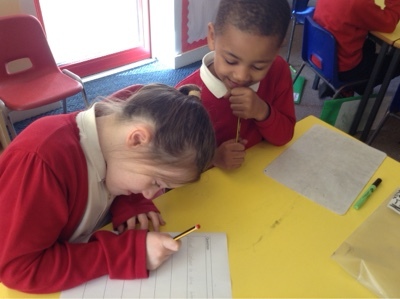 Then we talked about the verb endings when we use them in the past tense. Think about the focus words from today's lesson (use the photos below to remind you), choose one and then put it in a sentence in the past tense. Tell someone at home or school the sentence you have made. Remember .... we need to be practising telling the time as much as possible! 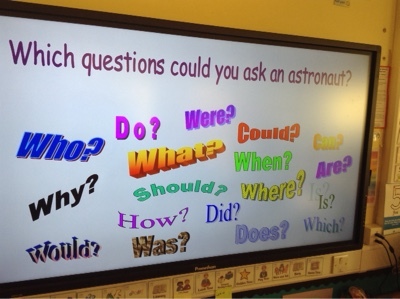 Before going into the explorer Dome, Ash class did some research on stars and came up with some great questions that they had to find the answers for. The dome was so much fun. Thank you Mrs Turner for organising. This afternoon we made our best copies of our constellation pictures. We are constellation experts now! We all had a great time in the Explorer Dome this morning finding out about constellations, planets and the sun and moon. We looked in wonder at the night sky and couldn't believe that the sun was as big as a million Earths! A big thank you to Charlie and Andy for a super morning. We had to crawl through a tunnel to get in! It was very dark inside so there are not many photos! 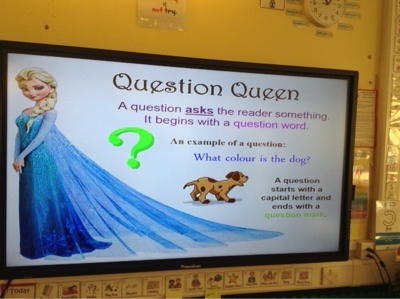 Our Literacy focus in Walnut today, was questioning. 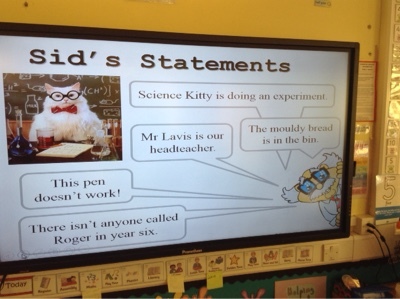 First, we recapped how a question differs from a statement. 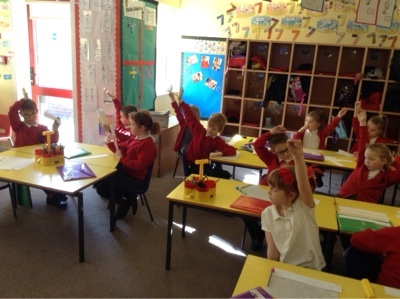 Then we spent some time in groups, generating questions that could match an answer we had been given. 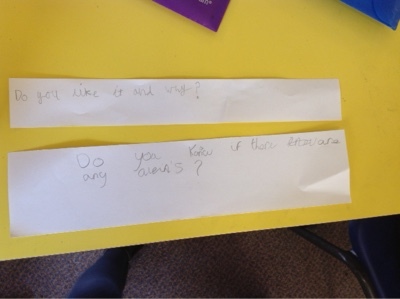 We then developed this idea by linking it to our topic, and wrote questions that we might ask an astronaut. One of Mrs Tatman's favourite questions was Emma's! Can you remember what she wrote? This game was a great starter for our Maths session in Walnut this morning. Have a go... try to remember to practise telling the time as much as you can at home! This week our focus was on multiplication. Why Does Mrs Tatman Always Find A Song? Arrays Again and More Multiplication! How Long Is Fifteen Minutes? Finishing off our Kandinsky Paintings.